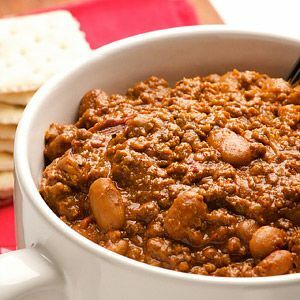 So before the festival and fair season begins, you should try to practice cooking chili with different ingredients to come up with the best possible taste. 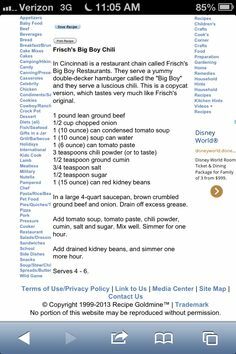 The only big difference with this recipe and with what I normally do is that I add a small can of tomato sauce and garlic. While the rice mixture is cooking, sauté the beef, remaining 1/2 cup of onion and 1/2 cup green pepper until beef is brown and the vegetables are tender. Of kosher salt, the crushed tomatoes, beef broth, beer, Sanka or coffee, and liquid smoke to the Dutch oven and mix everything together. Add reserved cooked beef and bacon to the onion-spice mixture in the Dutch oven. You want the highest heat on your most powerful burner here, because the meat will want to steam and stew and not brown. 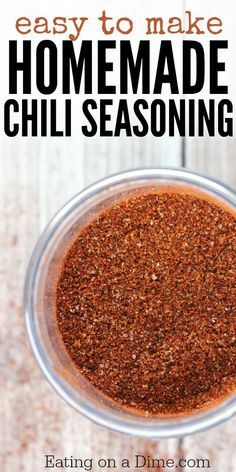 This is not to be confused with ground chili or ground red pepper, which is simply the dried chili pepper ground into a powder.